Our campuses will be significantly developed over the coming years. Learn about how our vision and campus master plans embrace our past and herald our future direction. The Melbourne Campus Vision will evolve the university campus and guide our future direction. La Trobe University Melbourne Campus Master Plan. Our Bendigo Campus Vision will evolve the university campus and guide our future direction. 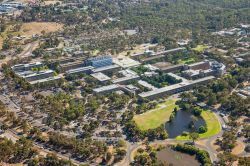 View the Master plan for the Bendigo Campus.